I think all parents, especially new parents or parents of young children, experience a certain amount of fear. It is one of the nastiest aspects of parenting, and is something that you aren’t really prepared for by Dr. Spock or What to Expect When You’re Expecting. I’m not talking about being worried, or being nervous — I’m talking about feeling straight terror. Terror that something bad will happen to your child that you can’t foresee or stop. I suspect that most parents do their best to bottle these feelings, as they aren’t too productive or healthy. Other parents, like Jeremy Robert Johnson, pop the cork on these deepest, darkest fears and intrusive thoughts and hammer and mold them into a gripping, horrifying, surreal novella that can be, and probably will be by most readers, absorbed in a single sitting. Think The Old Man and the Sea meets The Pearl meets Pet Sematary, and you’re beginning to the get the right idea. 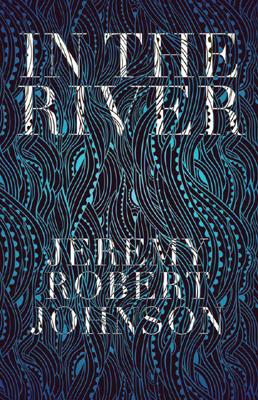 But, dare I say it, In the River takes you to even darker places than those books because of its singular focus and sparse word count.